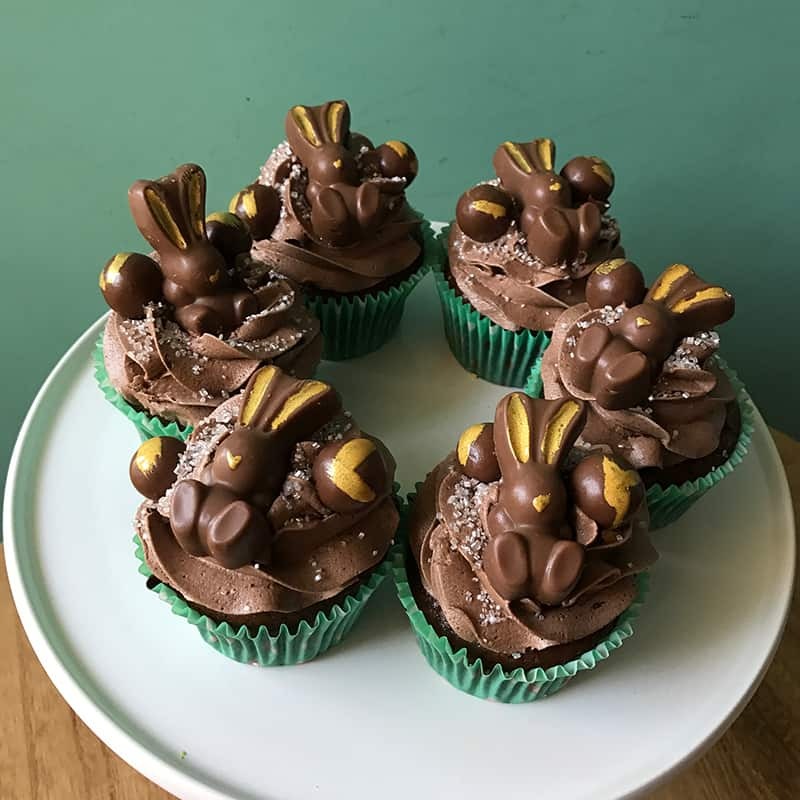 Who wants chocolate this Easter? 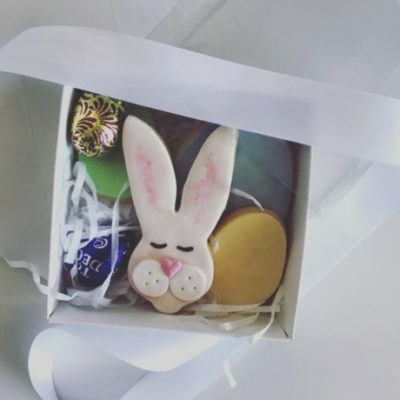 Be different – order some delicious Easter themed sweet treats. Available to order online from now until Wednesday 28th March, with delivery right up until Easter Sunday! 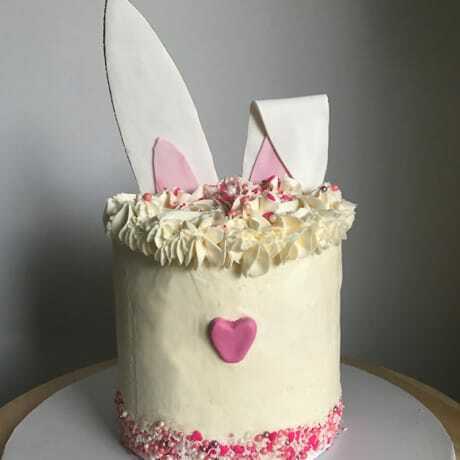 Four layers of delicious vanilla or chocolate cake, filled with fluffy buttercream icing and covered in sprinkles and topped with bunny ears and a pink bunny nose.. 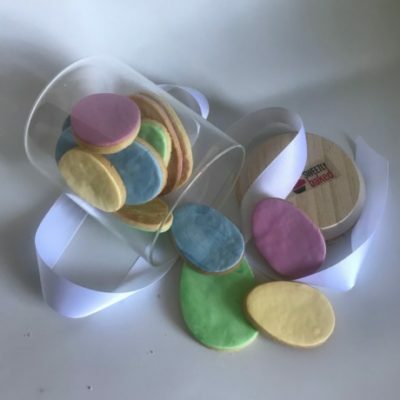 The standard height of all cakes is 12-15cm tall. Please note, the standard option for this cake contains gluten, eggs and dairy. May contain traces of nuts and other allergens. Please use the contact form for any special requests or dietary requirements.